Despite being in similar field as other black metal/shoegaze heavyweights, An Autumn For Crippled Children have not quite seemed to get their due. 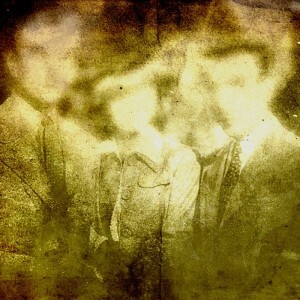 While press darlings such as Deafheaven have released albums that have seen quite a major success, An Autumn For Crippled Children have been releasing their take on the genre mixing for a tad longer, and have more output. Now, there are merits to the various bands playing the style popularized by the likes of Alcest and Amesoeurs, but An Autumn For Crippled Children have been a little more consistent, as well as prolific than most, steadily releasing new music every year to a year and a half or so. 2016 was no different, with this Netherlands based trio unveiling their now sixth full-length, Eternal, off Wickerman Recordings. While over the years the sound of the band has improved, with upgraded production and an more full, wall-of-sound take, the core of the band’s approach has been ultimately the same. The screamed vocals take a backseat to the music itself, which has plenty of tremolo picked guitar lines and mid to fast paced drumming, but is heavily drenched in synth and atmospherics. The core of the Crippled Children sound is to create these beautiful interludes and carry them over to the body of a track, while adding in some of the harsher tones from the black metal side. Eternal continues this trend quite well, with the band not really breaking any new ground, but perhaps still showcasing the improvements the trio have undergone over the last nine years. The tracks feel more fleshed out, being able to flow between the softer and harsher parts seamlessly, while incorporating these elements together more fluidly. Where as moments on the last couple of releases felt that there was a strict cut off between the beauty and the anguish, Eternal feels more complete, with these styles blending into one another better due to an improved overall performance of the band. The guitars feel more complimentary at times to the synth, and the drumming is paced perfectly throughout, but can be intense or catchy, adding just enough fills or interesting patterns when needed. Memorable is perhaps the more appropriate word for this release as well, where as the groups prior album had plenty to love, there was a lack of staying power felt after a few spins. Eternal seems to have corrected that issue, as evident on tracks such as “Farewell” which has such an infectious riff and vocal cadence that it stands out not only on the album, but within the band’s discography. Another great thing about the band is their ability to pack a lot in to a shorter time frame. Some of the bands in the genre, or really in general may feel the need to have elongated songs to showcase what they are about, or to give the songs a sense of life. In some cases that works fine, but in others it can slow down the intensity of the album or cause it to lose the audience. Crippled Children are able to showcase their style, and do it damn well within fairly compact tracks, really averaging around four and a half minutes per track. These ten songs feel important, and they run at a pace that never gets too dull or meanders. Before you really realize it, the record is half over and you’re still left with certain melodic lines or guitar riffs going through your head from the opener. There is a lot of memorability and replay value to be had, which is something a few bands in the genre seem to struggle to grasp. 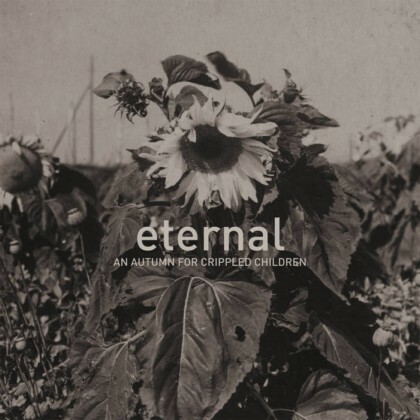 Eternal is perhaps one of the best, if not the best work in the short but decently vast career of An Autumn For Crippled Children. For a band to be as back to back as they are in releases, it is quite admirable that they are able to tighten up their sound with each new recording, and make each album an improvement over the prior. 2016 saw the band pack a lot into a 45 minute play time, but also create some of their more beautiful, and even cathartic works to date. Each track feeling as if it progresses naturally to an honest conclusion not only helps the listener feel more complete when hearing it all, but gives the album a nice story feel of a beginning, middle and end. 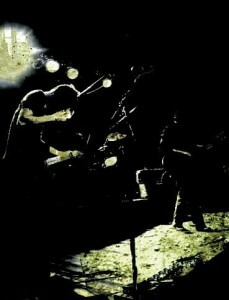 Eternal was once again seemingly not given some of it’s due in part because of bigger bands in the genre releasing new material, but An Autumn For Crippled Children have been here for the better part of the last decade creating some of the more consistent black metal and shoegaze hybrid out there. Always worth a listen. This entry was posted in Bands, Black Metal, Progressive Metal, Reviews and tagged Airs, Alcest, Amesoeurs, atmospheric black metal, black metal, blackgaze, Coldworld, Deafheaven, Falaise, Ghost Bath, Heretoir, Hyponamie, Oathbreaker, shoegaze, So Hideous, Totalselfhatred, Vattnet, Wolves in the Throne Room.